Are you about to enter into a messy custody battle? You’re not alone. About 40% – 50% of marriages in the U.S. end in divorce which means for many, a custody disagreement can’t be far behind. A divorce can have lasting effects on your children and cost you more money than you could ever imagine. Before you proceed with your negotiations, take a breath and read these five tips about how to approach a custody battle when it’s the only option you have left. There’s no way around it, getting divorced is expensive. A custody battle that goes to court will quickly rack up lawyer fees and before you know it, you’ll be spending more on the proceedings than the verdict is worth. Many couples often head straight to court and skip the mediation option which would save you a ton of time, money and stress. You’ve likely already decided that talking to your ex and coming to a custody agreement together is out of the question. If that’s the case, don’t rush to the judge. Try to work with a mediator who can help you come to a custody arrangement you both feel comfortable with. If you opt to go to court, you can’t guaranty a win and a bad court judgment could be even worse than what you were offered in mediation or directly from your spouse, to begin with. It’s important to know what you’re getting yourself into as you enter a custody battle. Do your research. Consult with experts if you can, ask your friends who have gone through similar situations or read about cases online. Have an understanding of the family laws in your state and be realistic about your specific situation. Before you begin a potentially uphill battle, you should know what you’re getting yourself into and determine if the fight makes sense and could end well for you. If you’re entering into a custody battle with your spouse, it’s safe to say tensions are high and you are not able to come to terms with one another without the help of outside sources. At the very least, make an agreement with your spouse to be civil to one another. Don’t let the drama get the best of you. If you allow this to show in court, to the judge or to your spouse’s lawyer, it could end up working against you in the long run. You want to appear even-tempered and responsible in front of anyone who has a say about how often you get to see your child. Try to separate what you really want from what your anger or hurt is telling you to ask for. Don’t just ask for full-time custody because you want to stick it to your ex. That doesn’t serve you or your child in the long run. You need to know what you’re fighting for and why. A custody battle shouldn’t be about revenge on your ex or because you don’t want your kids around your spouse’s new girlfriend. Those aren’t legitimate reasons to try to take your kid away from one of their parents so get clear on what you want and why. 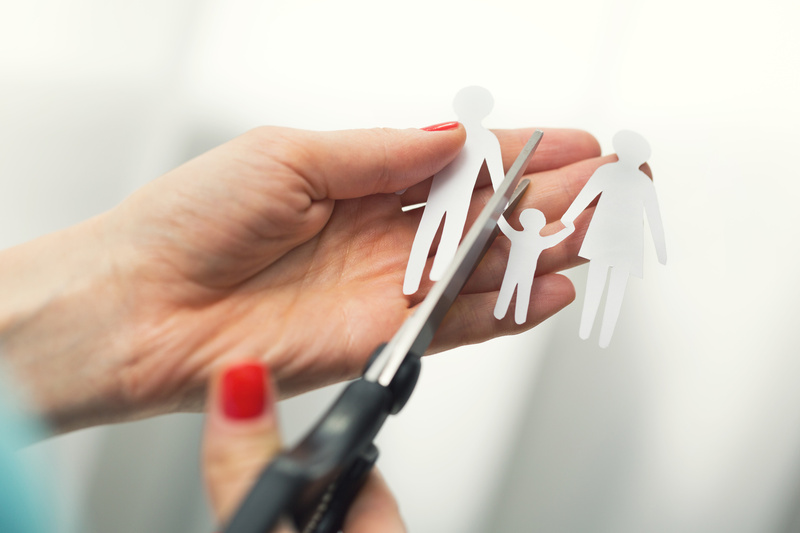 A divorce can be difficult and traumatic for children even without a custody battle. Add that into the mix and your kids could really suffer. Try your best through the anger, resentment, and hurt of your own loss to put your kids first and do what’s truly best for them. Don’t stop them from seeing one of their parents just because that’s a “win” for you. Think about the long-term effects this could have, act accordingly and urge your spouse to do the same. There’s no way to sugar coat it, a custody battle is terrible. It can weigh heavily on the people involved, including the children, causing stress, anxiety and financial hardship. Refer to the tips above as you enter into your case and see if they help mitigate some of the issues, resulting in an easier resolution for you and your family. Wondering how an investigator can be useful to your case? Contact us for more information and don’t forget to read our blog for more tips.